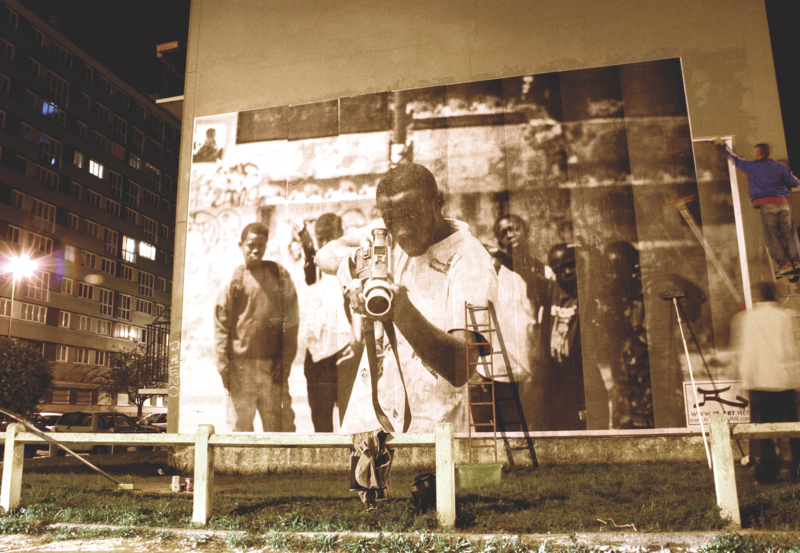 “Les Bosquet” – French street artist, JR, turns the projects into a ballet stage in remembrance of the riots in 2005. French street artist, JR, is well known for plastering large posters of everyday people’s portraits on outdoor spaces in favelas, the Gaza Strip, and cities all over the world. In 2014, he collaborated with the NYC Ballet on a ballet called Les Bosquets. 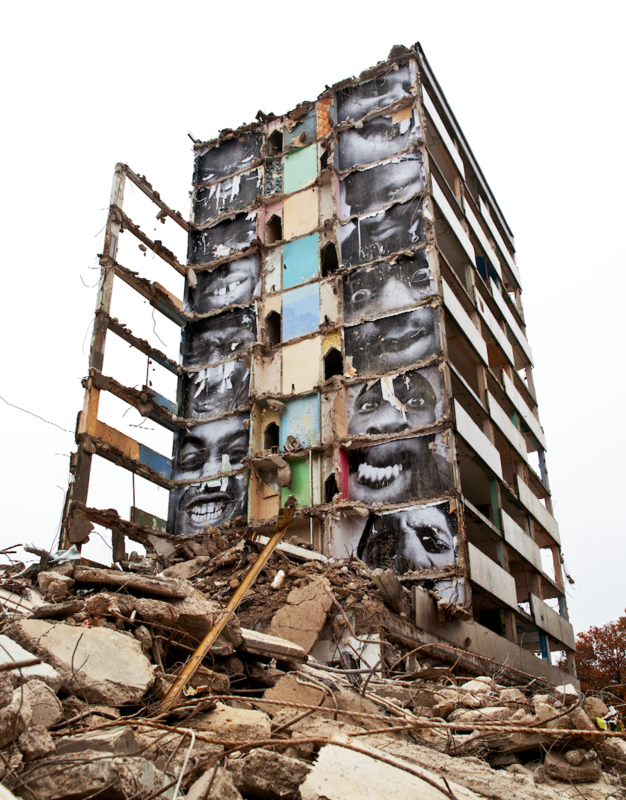 Les Bosquets was inspired by JR’s first art project, ‘Portrait of a Generation’ and by the riots that took place in France in 2005, when two teens in Clichy-sous-Bois (a predominantly African American Parisian suburb), were electrocuted when they hid in a power station, because they were being chased by the police. 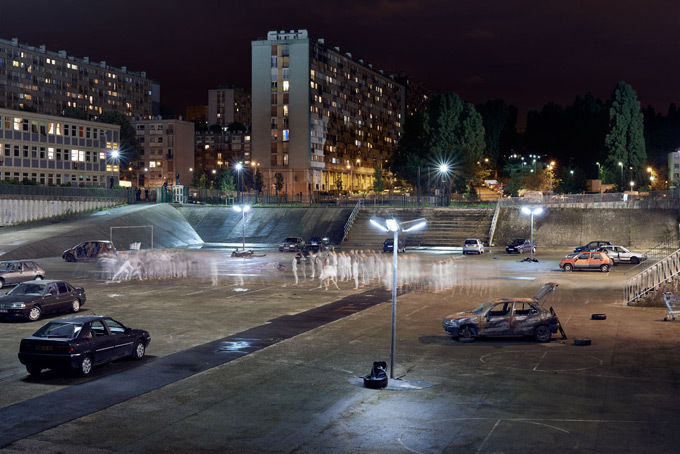 During the Tribeca Film Festival 2015, JR premiered his 18 minute short film by the same name, The Story of Ladj Ly, ‘Les Bosquets,’ which took over 10 years to make, and turns the parking lot of a project housing complex in the Paris suburb, Clichy Montfermeil, into a ballet stage. J.ane R.osenthal introduced the film “Les Bosquets” stating that artists tell the truth and can bring something out in us. The short starts off with a man holding up a videocamera like it is a weapon stating that he has a hard time filming people close to him. A wall portrait of an eyeball is shown and then once again when a group of ballerinas come together to stand in a line next to one another and their full length polka dotted leotards form the eyes of the main lead principle ballerina. The two photographers trigger a riot, scores of men begin running away in the rain and thunderstorms, and a beautiful principal ballerina, dressed in a white tutu, appears in the doorway. They all transition into ballerinas and begin performing on a black paved parking lot. Their shadows are being displayed against the walls of the housing projects, and a helicopter shines their light down on them much like a stage light from a balcony at NYC Ballet would. Music composed by Pharrell Williams, Hans Zimmer and Wookid. After the short, JR-street artist, Pharrell Williams (via Skype), Lil Buck-dancer-hip-hop footwork, Lauren Lovette-soloist at NYCB, Hans Zimmer-German film composer, discussed how they all came to collaborate on the project with one another. Very clever. JR, once again, joked that the talk was longer than the short film. Look for his work on the cover of this weeks New York Times Magazine. Fifteen year old Jack, who was perceived to be a delinquent, never had a lot of friends. In fact, growing up in a small rural town, he was relentlessly and viciously bullied and attacked by two older townies. They spray-painted on Jack’s house and face, and repeatedly hit his younger cousin, Ben, with paintballs. You might be thinking, if Jack was constantly bullied, how did he get his nickname, “King Jack”? When “King Jack” was younger, his father would put him up on his shoulders, and carry him around the house declaring that Jack was the King of the Couch and the House! Jack’s older brother Tom, became jealous and detested this because Tom was the popular one, therefore, Tom was worthy of being the King, while Jack was merely a scab. 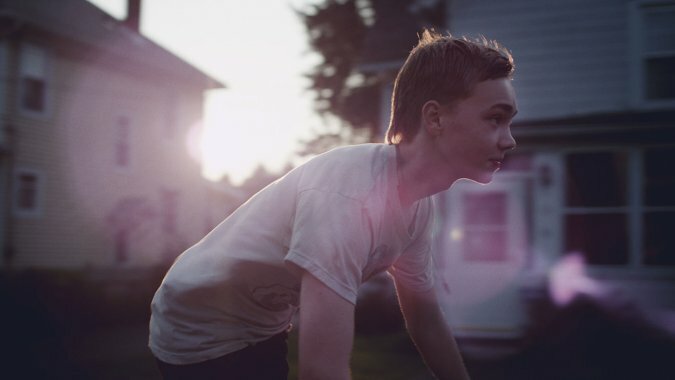 “King Jack” is a coming of age story, where a young teen and his little cousin bond over beer, truth or dare sessions at the popular girls’ house, and running and hiding from the vicious and violent town bullies. Written and Directed by Felix Thompson. “With King Jack I wanted to tell a story about the secret childhood our parents weren’t around for: a childhood made up of hazy summer days that were long and idle. Summers were a time when everyone’s parents were stuck at work so you had to fend for yourself. They were a time for learning your first swearword, drinking your first beer or having your first kiss. It’s funny how those moments, experienced far from the prying eyes of adults, seemed to have such a telling impact on the people we eventually became. It was as if those summers were a perfect snapshot of adolescence: a time when a single weekend could change your life. King Jack is a film about one of those weekends. Inspired by some of the kids and stories that I grew up around it tells the fictional tale of a kid trapped in a cycle of bullying. But though the film has its fair share of harrowing moments, for me this story was ultimately something our character would look back on fondly years later. Article by One World Cinema. 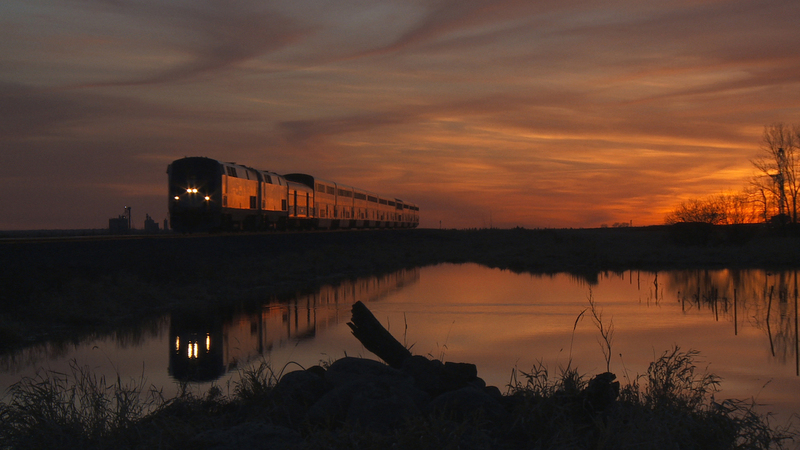 “In Transit,” directed by Albert Maysles won the Best Documentary Feature, Special Jury Mention at the Tribeca Film Festival 2015.
observes and delves into the stories of passengers on one outbound and one inbound train journey on the United States’ longest cross country route from Chicago to Seattle. Observe the interactions of the passengers as they describe the reasons why they are taking their trips. From young entrepreneurs, to those escaping reality, the film interacts with passengers who are willing to share their life stories with the audience. You will meet two 21 year old men who are heading to North Dakota to try to make some money working in the oil fields, an elder who tells his new male acquaintance about the time he met Dr. Martin Luther King, Jr., a young pregnant woman who is keeping the conductors on their toes as she is due to deliver at any time, children interacting with new friends, a father and son playing cards, and hippies playing guitar. From the snowy mountains to the prairie plains, the scenery, life stories and the interactions with one another, become more and more fascinating. Directors Anna Sandilands and Ewan McNicol were recognized with the Tribeca Film Festival’s Albert Maysles New Documentary Director Award for their feature film UNCERTAIN. Caddo Lake lies on the border between Texas and Louisiana. 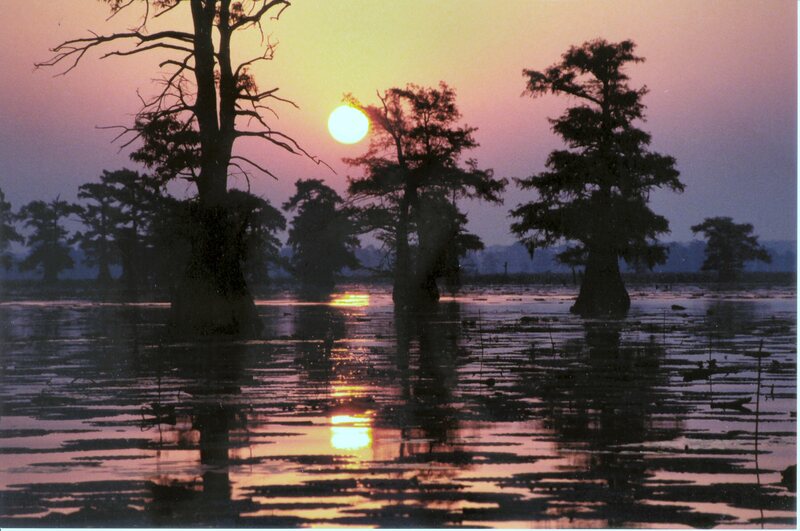 On the Texan side of ‘Big Lake’/’Caddo Lake,’ lies a small fishing town named ‘Uncertain,’ with a population of 94. What is there to do in Uncertain, Texas? Well, you can hunt, fish, drink, farm, and hide from the law, but don’t expect to find a girlfriend, as most women get married and move away, and don’t expect to dream too large. “Uncertain” follows four men who are residents in the town. 1. A botanist who is trying to help save the lake from the Salvinia, or floating ferns, which appeared on Caddo Lake in 2006, and by late 2013 had spread to cover an estimated 6,000 to 8,000 acres. Giant salvinia is an aggressive, free-floating aquatic fern native to South America that can double in size in four to 10 days. The fast-growing plant can interfere with water recreation, displace native vegetation and reduce oxygen content of the water, often harming fish and other aquatic life. The plant has invaded 17 Texas lakes and countless other water bodies in the southeastern U.S. The hope is that by releasing weevils or beetles out on to these lakes, that they will help to control the overgrowth of the salvinia plants. 2. A convicted felon who hunts boars with a rifle that would be illegal for him to carry if he lived just a few miles east over the Louisiana state border. 3. An elderly African American male who started going to church once his wife passed away, who enjoys fishing from his row boat on Sundays, and who also has a past. 4. A young man with Diabetes, who spends time drinking at the bar, that would like to move out and create a better life than ‘Uncertain’ can offer. 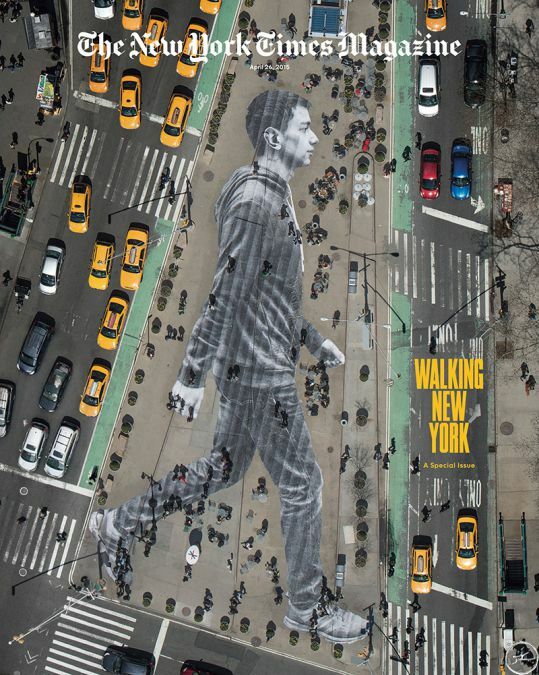 Sunday, April 26 at 5:30 pm at the Regal Battery Park. Winner for Best Documentary Short at the Tribeca Film Festival 2015! 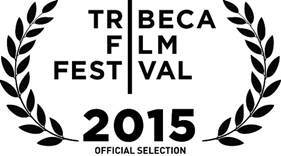 Out of 3100 submissions, only 60 short films were chosen to show at this years Tribeca Film Festival. As per the program director, all of the shorts revolved around the theme that “home is where the heart is”. Produced by Olivia Wilde, Bryn Mooser, and written and directed by, David Darg, “Body Team 12” tells the story of the people who don hazmat suits and dispose of contaminated, recently deceased patients during the height of the Ebola crisis in Monrovia, Liberia. The challenges the staff face while working under these stressful conditions, the reasons why they do what they do, and how people treat them once they find out what they do for a living, are all discussed in the 13 minute documentary, ‘Body Team 12’. When the Ebola outbreak first began there were only 239 cases, three months later, the caseload grew to 14,342. ‘Body Team’ employees go to work at 5:30am and return home at 11pm-12 midnight. One of the women on the team explains that because women are strong, yet soft, she has to be strong for her country, and help to prevent the spread of the disease throughout Liberia, and worldwide. The families of Ebola victims want closure. They want to give their recently deceased family members a proper burial, to have a gravesite to visit in order to pay their respects to them, however, because Ebola is so highly contagious, the bodies must be transported to a crematorium to be burned and disposed of straightaway. The body team must plead and try to convince the family members to allow them to take the bodies away from them without them even so much as going near their loved one to give them a final hug goodbye. ‘Virgin Mountain’ Tribeca Winner 3 Categories! Both men AND women will fall in love with the lead character in ‘Virgin Mountain.” A shy, quiet man, who believes that actions speak louder than words, is named Fusi! 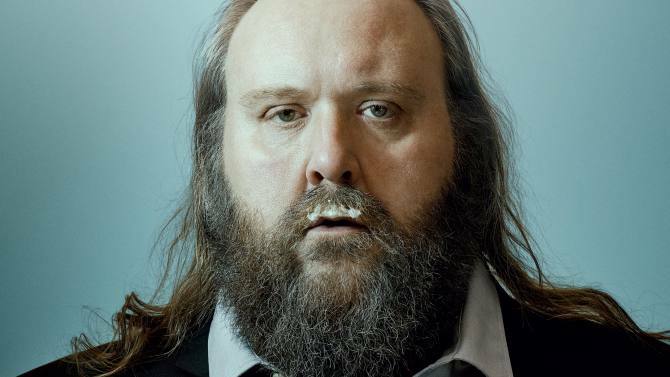 ‘Virgin Mountain’ (Iceland/Denmark), is a 94 minute feature film by director, writer, musician, and the Head of the Director’s Program at ‘The National Film School of Denmark,’ Dagur Kari. ‘Virgin Mountain’ was VERY well received by the film reviewers at the pre-festival press screenings, including myself. “What makes ‘Virgin Mountain’ a universal movie that people around the world can relate to? Poor Fusi. Who is Fusi, you ask? Fusi works as a baggage handler at the airport, and is being taunted and bullied by his co-workers for being overweight. He is shy, in his early 40’s, and still living at home with his mom. His family buys him lessons to country line dancing classes to encourage him to get out and meet people. It works! Fusi does, in fact, meet a spunky, funny, personable young woman, and the two begin spending time together. You have to really pay attention, watch and observe the real Fusi in action, and you will fall in love!!! What a nice man! You are currently viewing the archives for April, 2015 at One World Cinema.